A must have for any lube facility our aluminum step stool has become an industry standard that provides the added height needed to safely service vehicles with high ground clearances. Both the lube tech in the service pit and hood tech at ground floor level will make good use of this lightweight problem solver. 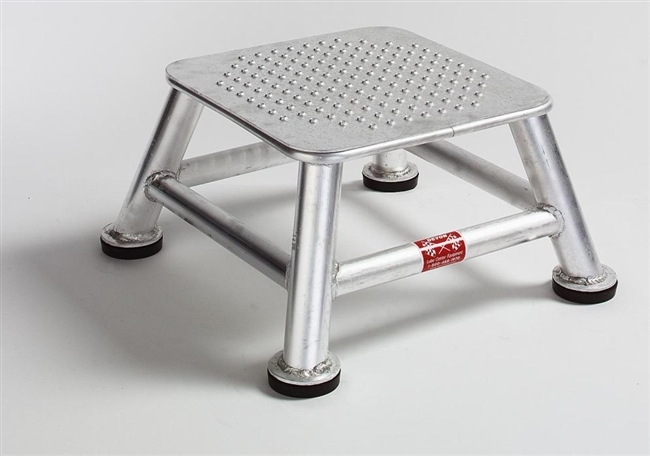 Use with #E110-S Aluminum Step Stool. 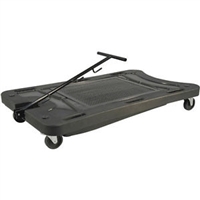 Lightweight all aluminum construction for ease of movement. Stable, wide angle base will not tip over during use. 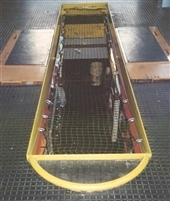 Slip resistant safety tread top provides a safe work platform. 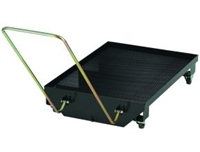 Skid-free, wide replaceable foot pads (#110-SP) prevent sudden movement. 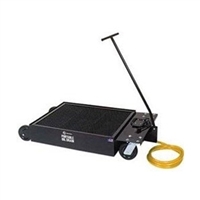 Each unit provides an additional 11-inches of safe reach.